One of the joys of Portuguese wine is the wide range of values available by the box. 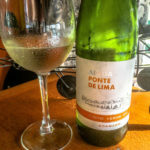 For a couple of years now, we’ve kept the Serra da Lua wines from the Adega Regional de Colares on hand as one of our go-tos for everyday, reasonably priced enjoyment. 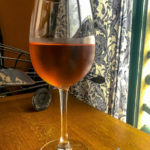 Last summer, the Adega introduced a rosé to compliment its tinto and branco blends on offer by the 5-liter box (also available by the bottle)–and we immediately took to it for warm afternoons and easy summertime meals. 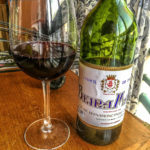 The blend comes from a true mista of grapes; keeping the price point low but also maintaining the quality mark of the Adega. This year’s blend has a moderately high level of acidity, with watermelon aromas and flavors, along with some bright cherries. Just down the hill towards the ocean, the adega of Beira Mar sits looking out over the waves. 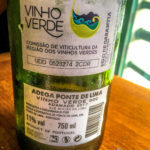 We’ve enjoyed many of the wines of António Bernardino Paulo da Silva–but a great example of the incredible value we’ve found in the adega’s Vinhos de Mesa, a white and a red sold expressly for enjoying every day with whatever you would put on your table. Both check in at 12% abv, so you can relax and know you’ll be able to stand up after dinner if you and your companion have gone through a bottle. 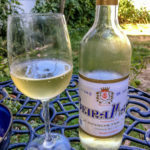 The white is a light spring yellow, with clear lemony pulp and pith on the nose and palate. The red features a deep garnet color, and black cherry fruits. We have returned to the adega in Azenhas do Mar for more tasting, and report back on Sr. Paulo da Silva’s award-winning Colares DOC wines. 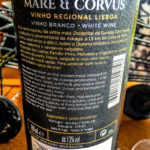 As we deep-dive into the wines of Colares DOC, we’d like to share a beautiful white that we picked up at the design store, Flores do Cabo, in Pé da Serra. Mare e Corvus intrigued us, as we instantly connected it with vinhas we’d seen on our walks on the Cima da Adraga, just north of Cabo da Roca and bearing the full brunt of the ocean’s winds. The refreshing branco blend, made with Fernão Pires, Malvasia, and Chardonnay grapes, comes from these dramatically hidden vines. The 2016 version shows off its salinity on the nose, and high acidity overall, which we expect from the wines of this part of the VR Lisboa–the wine doesn’t meet the strict requirements of the DOC Colares, but you can taste immediately that it is close kin to those wines. With a lemon twist and flavors of green apples, it also tastes a bit like the caves carved into the cliffs. 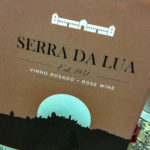 We enjoyed it with a tomato salad, along with queijo da serra and other bites. We had a record-breaking heat wave in Lisboa last weekend, and you know what that called for, wine-wise? 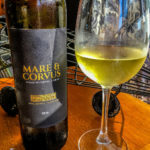 A crisp, cool vinho verde from northern Portugal. 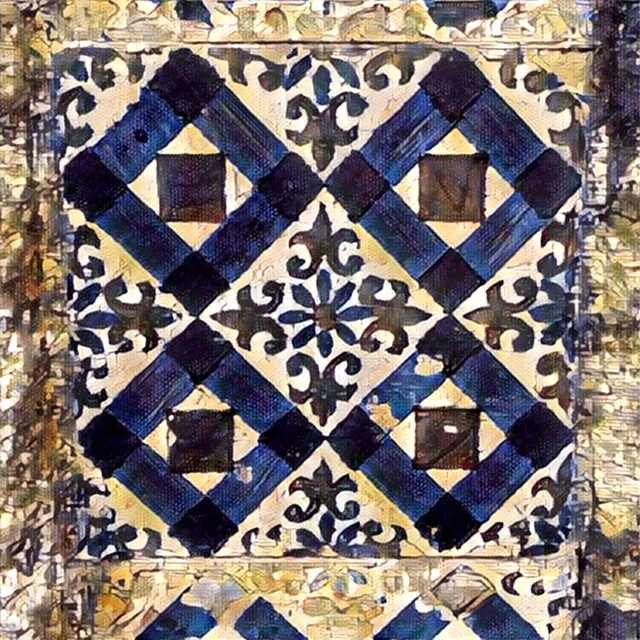 Low in alcohol but lively in flavor, wines from the Vinho Verde DOC reflect unique growing methods and vinification. We chose a low-priced favorite, from Adega Ponte de Lima (in the historic town of the same name), and selected the Adamado version–a marriage of Loureiro and Trajadura grapes. With mild lemon aromas, the wine doesn’t come on strong, but makes up for it with a creamy lemon curd palate, and a hint of spice. We found the wine less acidic than other vinho verdes, with only moderate effervescence–a great foil for our petiscos meal of presunto, cheese, olives, raita, and avocado salad. At 11% abv.